AnonD-44270, 28 Feb 2012if you are talking about display reolution, then I agree. nokia should have improved from 360x... moreYea!! The resolution should be now increased to at least 480*800. AnonD-44262, 28 Feb 2012I am getting confused dude. I was a great fan of nokia symbian but after coming of android...i... moreDude, because you are confused you went droid way. What you do not understand is that on a smartphone you are calling, surfing for short term, snapping a photo, using the gps, keeping notes and things like this but not serious gaming. I would play a chess/backgammon/solitaire just to spend time in a line but nothing more. I would never buy I phone for its gaming capabilities. I tried but it's not for me. I remain with my desktop mouse, momo wheel and keyboard when I play games. I love the new drop down notification bar in symbian belle which was a pretty requirement. AnonD-44270, 28 Feb 2012well, android will keep growing hungry for resources. If you give it a single core, it asks ... moreThats exactaly what I think. Anonymous, 28 Feb 2012PureView can capture videos in 1920x1080 Pixel (FullHD) @ 30, 24 and 15 fps. A true monster ! !Pure view is too much!!!! AnonD-44262, 28 Feb 2012@annonymous @shivam ok. I will now loyal to symbian. 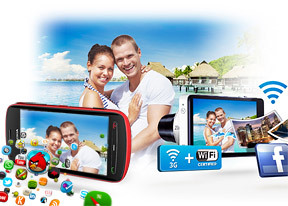 I want a full HD recorder or even 720p.... morePureView can capture videos in 1920x1080 Pixel (FullHD) @ 30, 24 and 15 fps. A true monster !! dan, 28 Feb 2012if the display was better,i would buy this one..if you are talking about display reolution, then I agree. nokia should have improved from 360x640 resolution. Otherwise, evrything else perfect atleast for me. ok. I will now loyal to symbian. I want a full HD recorder or even 720p...i was happy with inbox divx player of nokia helen. 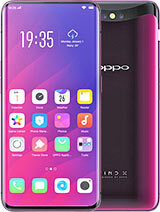 I will buy belle device..
if the display was better,i would buy this one.. Anonymous, 28 Feb 2012Although it can capture 38MP photos, nokia already told 808 PureView is world's most powerful ... morevery true indeed!! 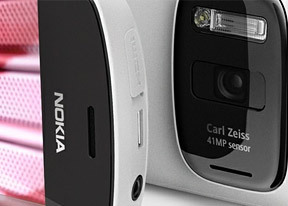 [deleted post]Although it can capture 38MP photos, nokia already told 808 PureView is world's most powerful 5MP snapper. Its also best at 8MP :) so if you want a true "Pure" photo taker, theres no excuse about 808 PureView. What to say about belle, its "Simply beautiful" Nobody should have any doubt about symbian's performance. AnonD-44262, 28 Feb 2012While rewiewing the nokia 701, i came to know that ovi store has been changed, is it true. Sy... moreyes it is true. ovi store is now nokia store. Now many quality ea games like fifa 12, asphalt 6, .......and many more good and quality appc. Well nokia has truly revamped symbian via belle. AnonD-44270, 28 Feb 2012you now spoke in a true and unbiased way. Hope you come back to symbian. Well I admit the maj... moreWhile rewiewing the nokia 701, i came to know that ovi store has been changed, is it true. AnonD-44262, 28 Feb 2012Hey guys, sorry for abusing symbian. Classic remains classic...belle is nice.!! I i love nok... moreyou now spoke in a true and unbiased way. Hope you come back to symbian. Well I admit the major plus point of ios and android is and only is their no of apps. But still 100 quality apps are a lot better that 100000 apps out of which many are trash! [deleted post]well, android will keep growing hungry for resources. If you give it a single core, it asks next for a dual one. 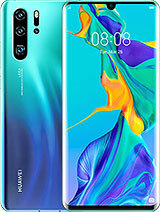 When yu give it a dual core, you give it a quad core (which even some desktops don't have), then when you give it quad core, I think they will now ask for 6 cores. LOL. Keep adding cores to your device and finally say bah... i still have less memory. Give me more.... Come to symbian and see that how well it runs, it saves and optimises ram. Well those who say belle ui is laggy. Looks like you haven't seen your quad core htc one X . Lags like hell in comparison to belle. so specificaions ain't a measure of performance. It's how well you use the resources given to you. [deleted post]Symbian Belle can run on my N8 which has only 680 Mhz, so imagine how would perform on 1.3 Ghz. If you are running for Ghz and cores and memory, can you please tell me for what you need all this power? Just for show off, don't you?